Only within a sort walking distance from Coralli-Apartment, in the area of Coralli Camping Bungalows, lies the island’s most beautiful sandy beach. Coralli Holidays offers top service that can guarantee memorable holidays. This is the ideal place for holidays with children. We make sure children have everything they need in order to swim, eat and play safely. Therefore, children can enjoy a sense of freedom in nature with minimal restrictions. The people of Coralli Holidays keep the area clean at all times and supervise common areas 24h a day. You can tan on the sunbeds and have a refreshing swim while listening to the best music. The people of Coralli operate a swimming pool bar to suit all tastes and needs. 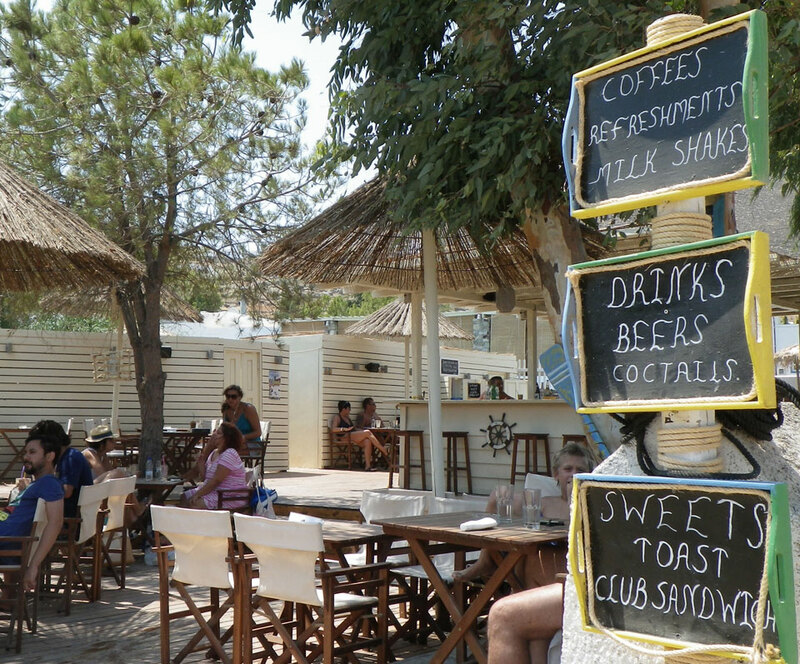 You will find Coralli Lounge Bar on Livadakia beach in a pleasant and comfortably cool place. 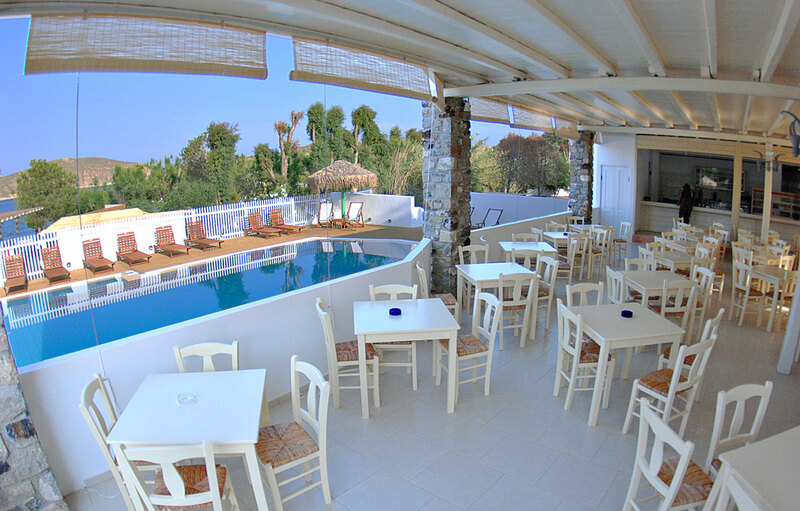 In the beautiful and breezy terrace next to the swimming pool different dishes are served every day to suit all tastes, always based on Greek recipes and using organic products of Serifos. The self-service restaurant in Coralli-Holidays is open every day from 8:00 am serving breakfast and will whet your appetite until late at night. If you are dreaming of hosting your wedding or a christening in Serifos or you simply want to celebrate with your friends, we are here to make your dreams come true. Our people are always there for you, ready to help you plan the event and cope with last minute issues. Sunbeds and sun umbrellas on Livadakia beach in front of Coralli Holidays are free of charge. Daily transportation service from and to the port. Timetable relative to ship arrivals and departures. Free parking for cars and motorcycles. Private and safe parking lot just outside the Coralli Holidays area.